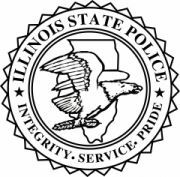 Illinois State Police District 09 Commander, Scott Compton, has released the following activity and enforcement figures for the month of February. Troopers in District 09 serve 7 counties, including Christian. They answered 317 calls for service and initiated 1612 incidents in the field during the month. In addition, enforcement figures totaled 1111 citations and 970 written warnings, including 545 speeding citations, 27 DUI’s, 145 seatbelt citations, 5 child restraint citations, 223 written warnings for speeding, and 102 criminal arrests. Troopers also assisted 315 motorists, conducted 377 Motor Carrier Inspections, and investigated 126 traffic crashes. There was one fatal crash that resulted in one fatality in District 09 during February. During the month, 567 citations and 187 written warnings were issued for the “Fatal Four” violations. These violations are most associated with fatal traffic crashes and include speeding, DUI, failure to wear a seatbelt, and distracted driving.